Start with a 6" x 6" card base from White Cardstock. Cut a 4.5" x 4.5" piece from Pink Pearl Shimmering cardstock. Cut a 4" x 4" of polka dot and strip lace ribbon like paper from Floral Delight Patterned Paper. Add them to pink pearl panel and add zig-zag stitches. Hello friends!! Hope you all are having a fantastic day!! 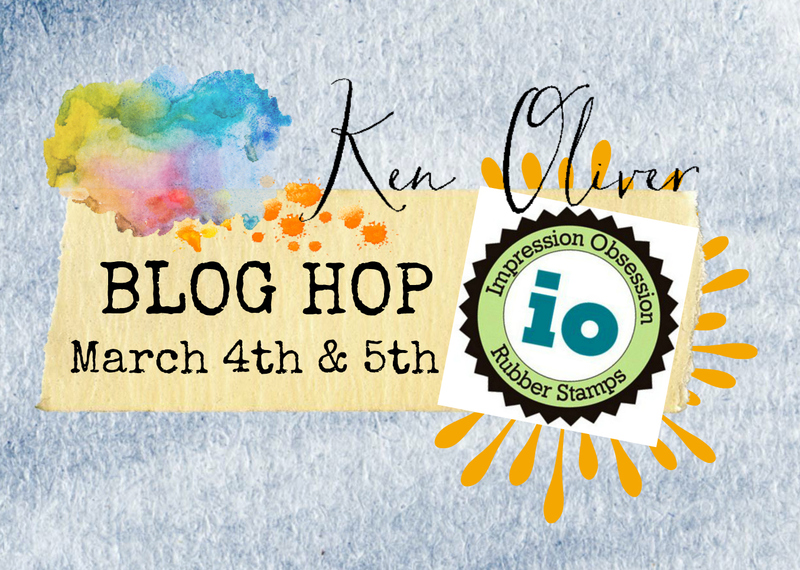 Today I have a very special post, the Ken Oliver Crafts Creative Team was challenged to create a floral project, but not a card, tag or journal. I have to confess I got a bit scared at first, since I am a cardmaker and most of my projects are just cards, anyway, then I decided to draw a sunflower. This pretty sunflower is from a couple of years ago, it was the first time I planted sunflowers seeds and I got few of them, they were lovely and very pretty. Here are a couple of close-up pictures. I used Color Bursts and Liquid Metals to color the image. This is the 12" x 12" piece. bon·soir. interjection. The definition of bonsoir is a French word that means good evening, or can be used to say hello or goodbye in the evening time. An example of bonsoir is how someone would greet another when walking into a Paris restaurant for dinner. This card is super simple, size of it is 6" x 6", the image was colored with the new Spectrum AquaBlend Watercolor Pencils, I highly recommend to get the, they blend beautifully and the colors are very vibrant. Added an embossed background, I think this embossing folder was perfect for this image, finally the sentiment was stamped on a piece of Black Pearl Shimmering cardstock in Versamark Watermark ink and added white embossing powder.. Ribbon and paper flower was added to embellish the card. Provence Set - A little bit Scenic By Sheena Douglas. Dry Stone Wall - Texture Embossing Folder. Spectrum Aqua Blend Watercolor Pencils: Sky Blue, Blue Marine, Pesto Green, Verdan Green, Ebony, Dark Slate, Asphalt, Gunmetal, Oak, Clay, Oregano, Hyacinth, Eldelberry, Chrom Orange. 6" x 6" White Scored Card. Hello friends, Happy Thursday! It's almost Friday and I hope you all are having a great week so far. Make a card from White Cardstock. A2 size. Stamp the clouds with Tumbled Glass Distress Ink and the the cloud borders with Broken China Distres Ink. Here I added few die-cuts I had already done from a previous project, These clouds were cut with IO dies and colored with Ultramarine Blue Color Burst. Stamp Flogger in Lamp Black Click It Ink, color it with a light color, here I used a Spectrum Aqua Marker, just a little bit since I didn't use watercolor paper but regular white cardstock. For the grass I color a piece of watercolor paper with Kelly Green Click It Ink, I did it twice to add more effect, also added a little butterfly, I used a scrap piece of Candy red Shimmering cardstock. Stamp the sentiment in Crimson Click It Ink, I used my MISTI to get a perfect impression. A couple of cards, few days later. Hello friends!! Happy Monday to you all! Hope you all are starting a fantastic today I want to share a couple of weeks I meant to share last week, but I have been so busy I just couldn't. First card is the one I made for St. Patrick's Day, this set is Crafter's Companion called "Lucky You", this image is adorable, I really love all the Bebunni Collection from Crafter's Collection. I colored the image with Spectrum Aqua Markers. For this card I used Color Burst (Ultramarine Blue, Sepia and Alizarin Crimson for the background and to color the cupcake. New Edgeable Dies and HSN!! Hello friends! Sara Davies from Crafter's Companion is back to the HSN and she will be showcasing new products!! You don't want to miss them. Here is a project I made just last night before going to bed, just because I really like this edgeable die and this was super quick and easy to make! Flowers are from Sara David Signature Collection Floral Delight : Pretty Petals. Flowers colors with Spectrum Noir Sparkle:Pink, Solar Red and Crystal Clear. And here is the HSN schedule!! Hello friends! Hope you all are having a fantastic day! 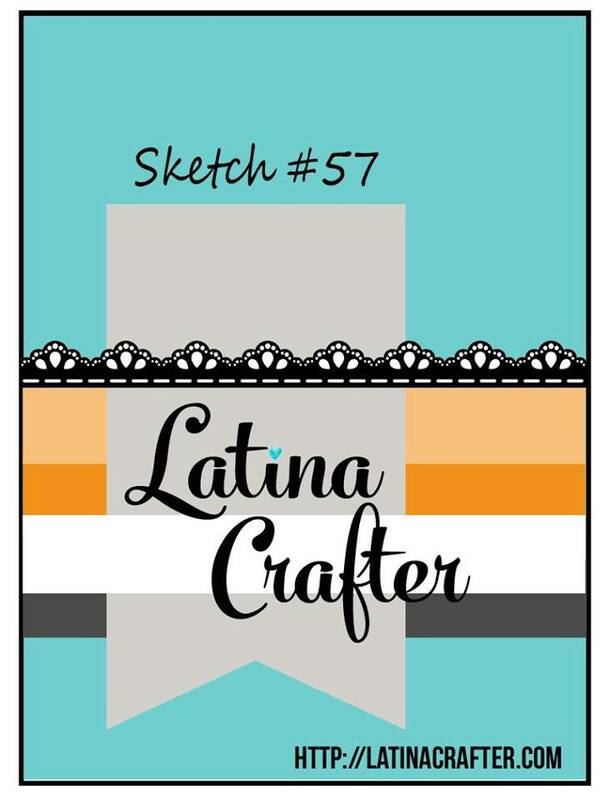 Today I want to share a card I created for Latina Crafter March challenge, and I hope you can join us too. We have a sketch + twist, you can follow either or both, you don't need to use Latina Crafter products, but if you have them we would love to see them in action. For this card I used the set "Amiga", the papers are from Stampin Up, love this one, very pretty! Hola amigas/os!! El día de hoy tenemos un blog hop inspiracional con los sellos de Esther Cagigal!! El Equipo de Diseño ha preparado unos proyectos fantásticos, ideas y más ideas usando las chicas de Esther! 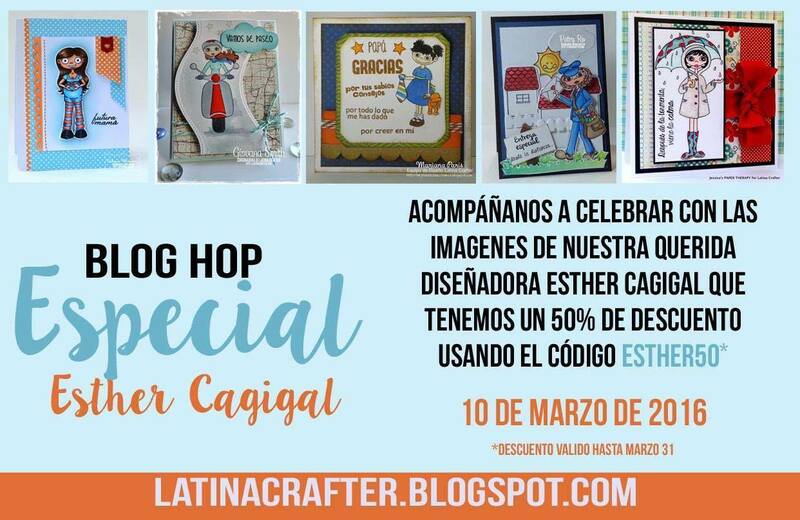 Y todo blog hop trae sorpresas, en esta ocasión tenemos un SUPER SALE!!! 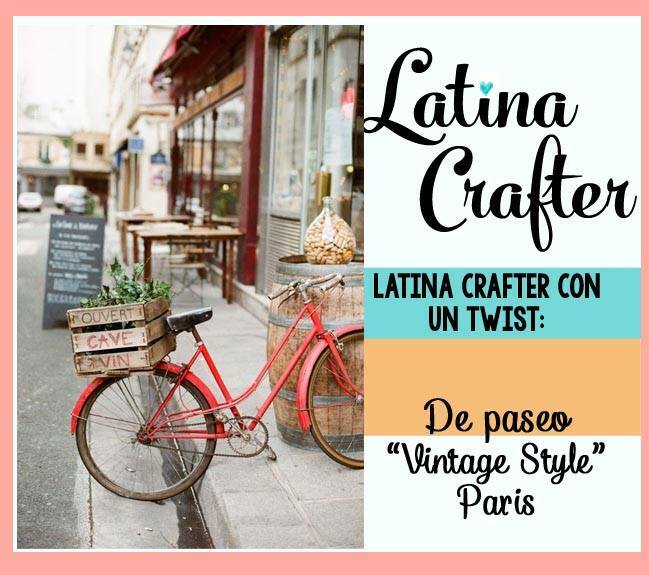 Todos los sellos de Esther están con 50% de descuento!! Para hacer efectivo el descuento, coloquen el código ESTHER50 en su orden. Aquí les dejo mi proyecto, la etapa escolar aún sigue aquí en USa, pero los meses pasan tan rápido que segurito en un abrir y cerrar de ojos llegamos al final y a las graduaciones, con eso en mente, cree ésta tarjeta, aquí usé el sello Graduada, la imagen la estampé en watercolor cardstock y la coloree con marcadores Spectrum Aqua, el sentiment lo estampé en Versamark Watermark ink y le agregué polvos para embossing, unas perlitas y la tarjeta quedó lista. Aquí les deo unos links con proyectos hechos con los sellos de Esther: AQUI, AQUI, AQUI, AQUI, AQUI, AQUI para darles más ideas e inspiración. Gracias por acompañarnos en este blog hop, hecho con mucha inspiración y cariño para todos ustedes. CRAFTER'S COMPANION, DOWNTON ABBEY & HSN! Well there is some good news! 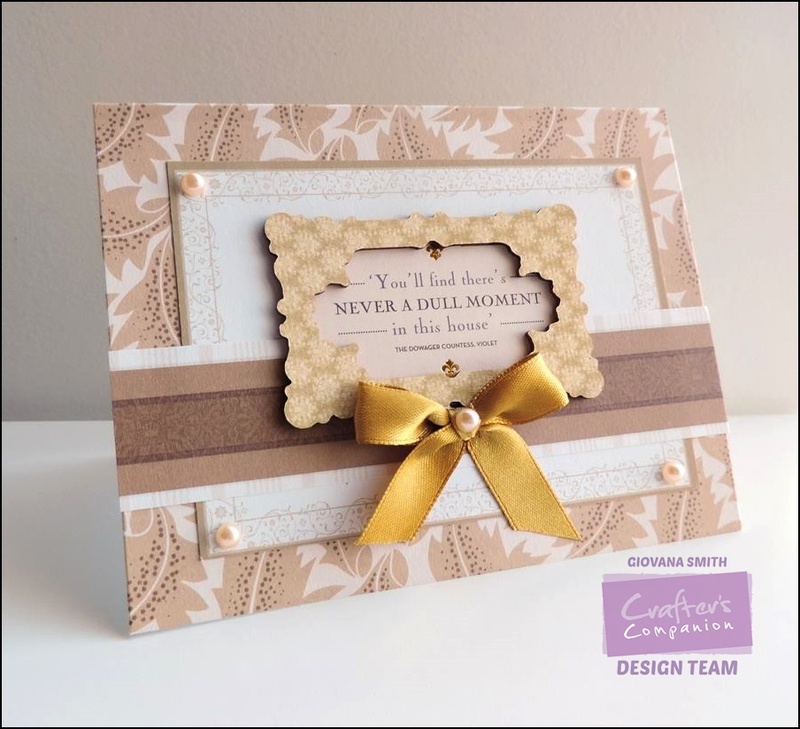 Crafter's Companion will be on HSN next week on March 16th with the Official Downton Abbey Luxury Cardmaking Kit. It is a beautiful high quality kit with hundreds of pieces included to make over 50 cards! Every single piece is inspired by the show and you can only get it from HSN. This is the real deal folks!! Check out the card I made with this lovely kit. More projects coming soon as well as more projects with this fantastic kit. Hello friends!! Happy Monday to you all. Last week I got a box full with new goodies from Ken Oliver Crafts, felt like Christmas in March, hehehe. 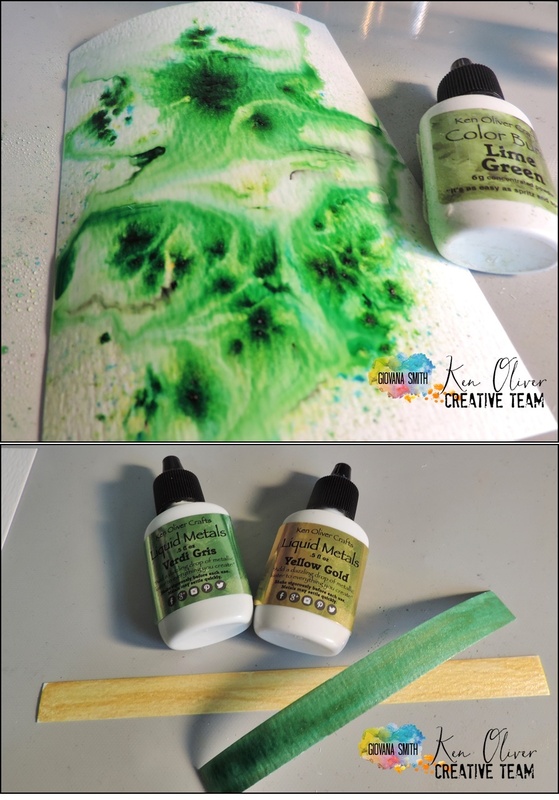 So I decided to use my new crafty goodies to make this super fun St. Patrick's Day card. Start die-cutting 9 small square piece from Water Media Paper. Then, add a little drop of Yellow Gold Liquid Metals and then spread the Liquid Metal on the center of the square with a paint brush. Cut a piece of Water Media Paper, size 4" x 6", mist it and tap the new Lime Green Color Burst. Cut a couple of strips about 0.5" and painted them with Yellow Gold and Verdi Gris Liquid Metals. Set aside to dry. Die-cut the gold piece with a scallop die, add it behind the Verdi Gris piece, add a white strip of Water media paper and adhere them to card panel. Stamp the clover leaves and Lucky sentiment in Kelly Green Click It Ink Pad. Add a kraft piece of cardstock behind the panel and add stitches. 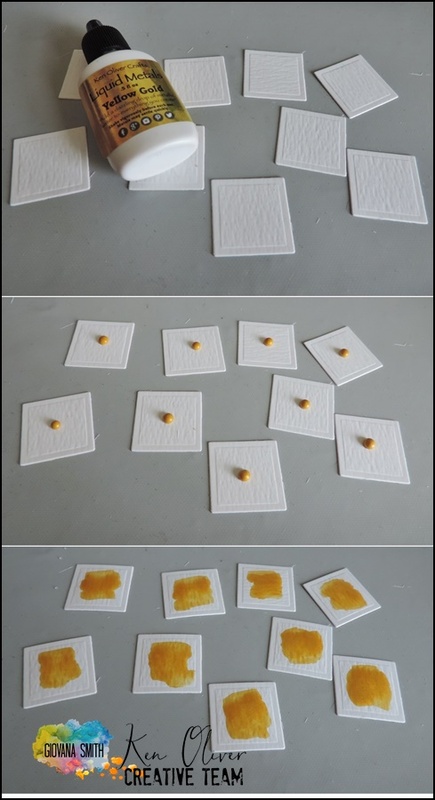 Add all the squares little panels with foam adhesive. Embellish your card with a ribbon and twine bow and drops. And this is the card. I think it turned out super cute!! This is a 5"x7" Water Media Greeting Card. Remember, you can find Ken Oliver Crafts products in small retailers near you! Fusion Card Challenge: Lucky Days. I used the sketch as an inspiration. You should have just come from the very talented artist and also my very good friend Dina! Tap a little bit of Ultramarine Blue Color Burst on a piece of watercolor cardstock, spray water as much or as little as you want, I wanted a soft ground so I sprayed a good amount of water. Tap a bit of Terra Verte Color Burst on the bottom area of your watercolor panel, spray water and let it dry. I wanted this side a bit darker, so I didn't add much water. On another piece of watercolor repeat the process with both colors. At this point I used the edges of the Ultramarine Blue side, love the little dot and splashes and used it to die-the clouds. I used the green area to die-cut Grass Border, this one was a lot lighter than the main panel to create a contrast. I used Alizarin Crimson Color Burst for the heart balloons. I stamped the image from Balloon Bouquet and Bunches of Love sentiment on the watercolor panel in Lamp Black Ink, then I stamped it on another piece and cut out the girls and heart balloons. I added all the pieces to a 6"x 6" card base. The watercolor panel is 5.5" x 5.5". 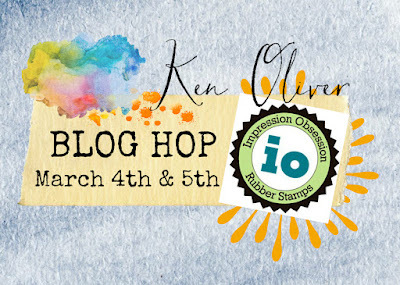 The hop will run for 2 days (3/4/16 - 3/5/16) with a list of participants on the Ken Oliver Crafts and Impression Obsession Blogs each day at 8am EST. Visit the fabulous designers from both team’s blogs and leave a comment (please only one comment per person/ per blog) for a chance to win! Winners will randomly be chosen and announced on Monday March 7th. Making the prize package a retail value of $60 a day!!! Hello friends! Happy Tuesday and welcome March!! Looks like this year is moving a lot faster than any other, maybe it's me, LOL. I, finally had the chance to play with my new goodies from Concord & 9th, this stamp set is wonderful and open to many possibilities, plus the die set is amazing!! Create a card base from Kraft Cardstock. A2 size. Cut a panel from Watercolor cardstock 3.75" x 5"
Stamp images from Wildflower set in Stazon Ink, then color them. Here I used Spectrum Aqua Markers:Dessert, Moss, Scarlet, Blossom, Topaz and Yellow. Then I added Spectum Sparkle Pens: Rose Quartz, Moonlight and Crystal Clear. Stamp the "you are" from "Beautiful words set" in Black Ink and die-cut "Beautiful" from "Beautiful You dies" in Black Shimmering cardstock, I did it twice using Stick It to create a little bit of dimension. Finally add sequins and adhere panel to card base.